Today, the images of Catholic priests and nuns marching in 1960s civil rights protests are iconic. Their cassocks and habits clothed the movement in sacred garments. But by the time of those protests Catholic Civil Rights activism already had a long history, one in which the religious leadership of the Church played, at best, a supporting role. Instead, it was laypeople, first African Americans and then, as they found white partners, black and white Catholics working together, who shaped the movement- regular people who, in self-consciously Catholic ways, devoted their time, energy, and prayers to what they called “interracial justice,” a vision of economic, social, religious, and civil equality. 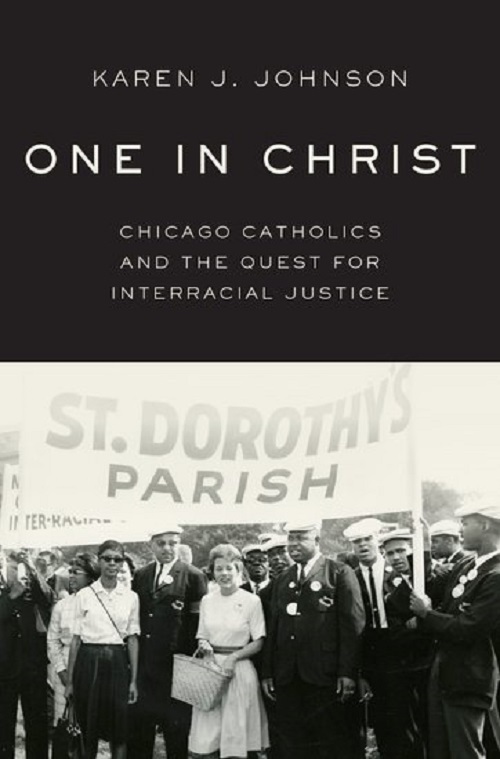 Karen J. Johnson tells the story of Catholic interracial activism from the bottom up through the lives of a group of women and men in Chicago who struggled with one another, their Church, and their city to try to live their Catholic faith in a new, and what they thought was more complete and true, way. Black activists found a handful of white laypeople, some of whom later became priests, who believed in their vision of a universal church in the segregated city. Together, they began to fight for interracial justice, all while knitted together in sometimes-contentious friendship as members of the Mystical Body of Christ. In the end, not only had Catholic activists lived out their faith as active participants in the long civil rights movement and learned how to cooperate, and indeed love, across racial lines, but they had changed the practice of Catholicism. They broke down the hierarchy that placed priests above the laity and crossed the parish boundaries that defined urban Catholicism. Chicago was a vital laboratory in what became a national story. One in Christ traces the development of Catholic interracial activism, revealing the ways religion and race combined both to enforce racial hierarchies and to tear them down, and demonstrating that we cannot understand race and civil rights in the North without accounting for religion.